Accidently stumbling into plein air painting turned out to be no accident at all. I am so thankful to have found this lifestyle that gives me incredible joy whether I find myself along a river, on a cliff overlooking a canyon or just about anywhere that I can witness the magic of the natural world. I revel in the physical challenge of getting to a remote spot, setting up my easel and being able to observe all that a place has to offer even if a painting can only record a small portion of it, I will have that forever. 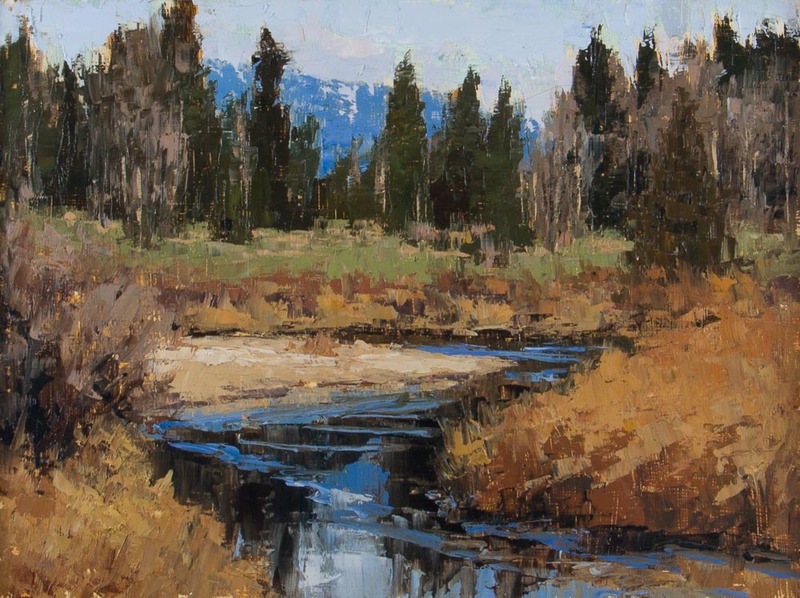 I believe that if I feel a connection to my surroundings or subject, that connection will come through in the painting and the viewer will be able to share the moment. 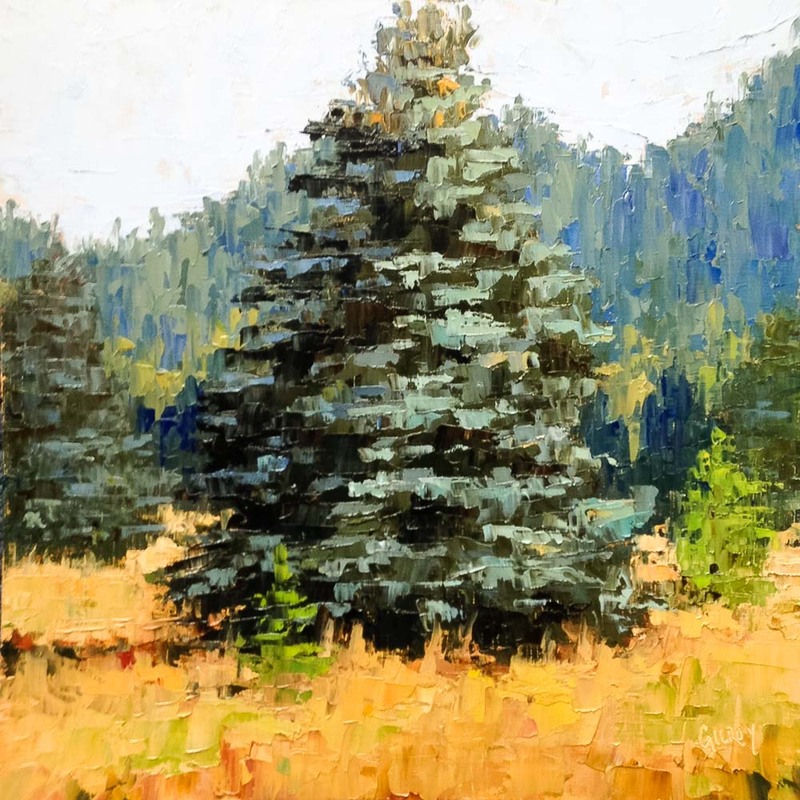 I strive to keep the freshness of the plein air approach in all of my paintings, both plein air and studio, I am not looking for photo like paintings but pieces that are expressive and have a sense of mood. All of my paintings are done using a limited palette which helps maintain a color harmony throughout the piece. Most of my current work is done using a palette knife. I find that the knife helps the color stay clean and it also doesn’t allow me to get caught up in detail. In a sense, fine art had to knock twice before Denise opened the door. She had always loved art, but as a young woman chose the practical over the creative, spurning art school for a finance degree. But art kept tugging at her, and most of the “jobs” she held over the years had a decidedly creative bent to them—first as a graphic designer with clients throughout California and later as a decorator and owner/operator of two furniture stores. None, however, satisfied her completely. So, in the summer of 2006, she closed her furniture boutique and started painting full time realizing that was what had been missing for so long. 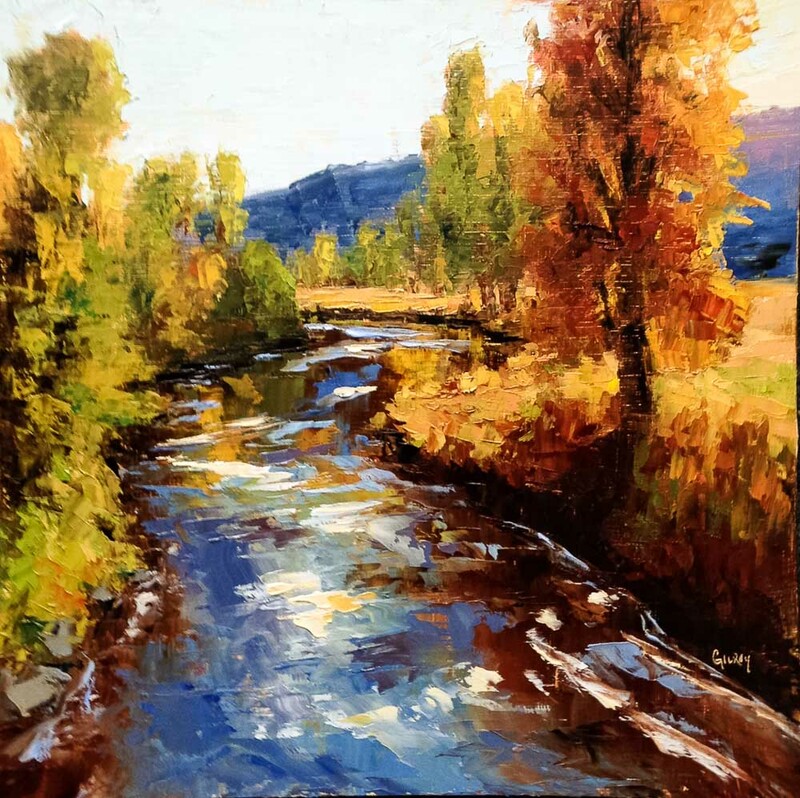 With no formal training in painting she took a workshop in plein air painting, which both embraces the beauty of the natural world and allows her to work outdoors. This new life became a perfect fit for someone who enjoys the adventure of traveling throughout the West looking for the next great painting spot.